Today I'm inspired by food. We are all 'getting better' in this house and one way to get better is by eating good healthy foods. I usually cook with whatever I have in my fridge and never plan ahead. 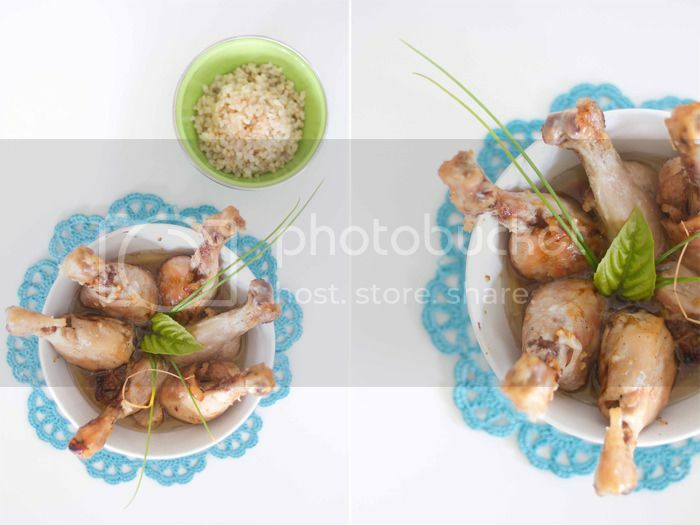 Today I decided to have organic brown rice and garlic roasted drumsticks because we've haven't eaten rice for many weeks now and I had defrosted drumsticks in the fridge. I followed this simple and easy recipe that quick. Hubby's eating the chicken right now and he says, "I like. Thumbs up." I usually like to hear more cheers to secure a recipe, but by the way my house smells I'll keep this one for sure. Preheat oven to 400 degrees F. Line a cookie sheet with sides with foil and place drumsticks on foil. 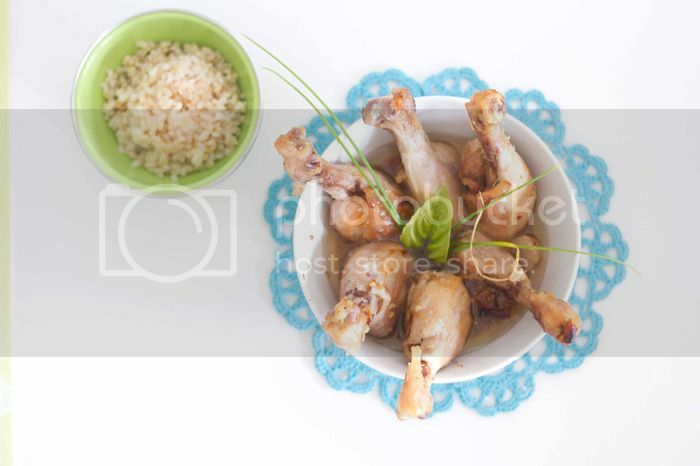 In small bowl, combine remaining ingredients and brush on drumsticks. Bake for 20 minutes, then turn and brush with remaining butter mixture. Bake for 15-20 minutes longer or until meat thermometer registers 170 degrees F.